The book Counting the Days While My Mind Slips Away chronicles his remarkable journey from his early days throwing a football back and forth with his father to speaking about the long-term effects of concussions before Congress, and how his faith keeps him strong and grounded as he looks toward an uncertain future. Ben recounts the experiences that have shaped his life and imparts the lessons he's learned along the way. Emotionally powerful, inspiring, and uplifting, Ben's story will captivate and encourage you to make the most of every day and treasure all of your memories. 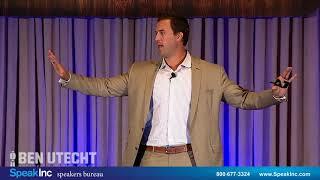 It is rare to find a true Renaissance man anymore, but that's just that you get with Ben Utecht. Ben has always chased his dreams, finding his way from a small river town in Minnesota to a Super Bowl championship field. 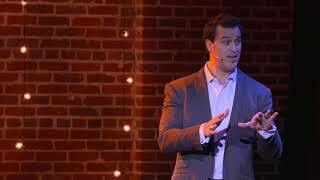 He has established himself as a prominent corporate and motivational speaker in the areas of leadership and culture. Both of his programs, The Champion's Way™ and The MVP Program™, stem from lessons he learned in the locker room with Hall of Fame coach Tony Dungy and in the huddle with future Hall-of-Famer Peyton Manning. Both programs illuminate dynamic ways to succeed in business and life. "I believe, as a speaker, that vulnerability equals connectivity. This is why I approach my keynote presentations with a mission of bringing you on an emotional journey through my life, into a hall-of-fame huddle, and onto a field of high-impact lessons. All our lives tell a story, and this is how I tell mine!" Enter the huddle of one of the NFL's greatest offenses and discover the gameplan for creating a culture of champion leadership and dynamic communication. Ben will coach you on four foundational principles that created a corporate family and built a Super Bowl championship team. The Champion's Way will inspire you to reach your potential like world-class athletes in life and business. Ben will share his emotional journey with NFL concussions and memory loss and how he realized that memory equals identity. His story will inspire you to start seeing greater value in each moment and thereby discover greater purpose. Get behind-the-veil player perspective on sports concussions and what should be done about it.